It can be a tough call for even for the most experienced business owners - weather the storm or close for the day due to bad weather conditions? In fact, it’s a decision many Kansas City area business owners have already had to make this winter. With an early season blizzard and last weekend’s mega-snowstorm, dumping up to 12 inches of snow in areas across the metro, leaving thousands without power, Mother Nature has been busy, that’s for sure. But there’s more coming. Weather teams across the metro are already predicting more snow this Friday and Saturday along with dangerously cold temperatures plunging to -2 degrees Fahrenheit. When it comes to treacherous weather conditions, clear communication with employees, customers and vendors is key. You should never just assume they will know if your place of business is closed due to the weather. Read on as our experts provide guidance in communicating with employees and customers during times of inclement weather. There’s nothing worse for employees than seeing nearly a foot of snow outside, but not hearing anything from their employer. Having checked their email, phone log and text messaging multiple times, they take to texting co-workers, but no one has an update. So, they bundle up, shovel out and embark on the long and stressful commute to the office, only to arrive to a ghost town and realize a last-minute text arrived while they were making the trek to the workplace. Not only were your employees’ safety in jeopardy, but morale and productivity could decrease and your team may not have the respect for you as a leader like they once did. But thanks to technology, it’s easier than ever to notify your employees before they venture out, and hopefully avoid situations like the one above. 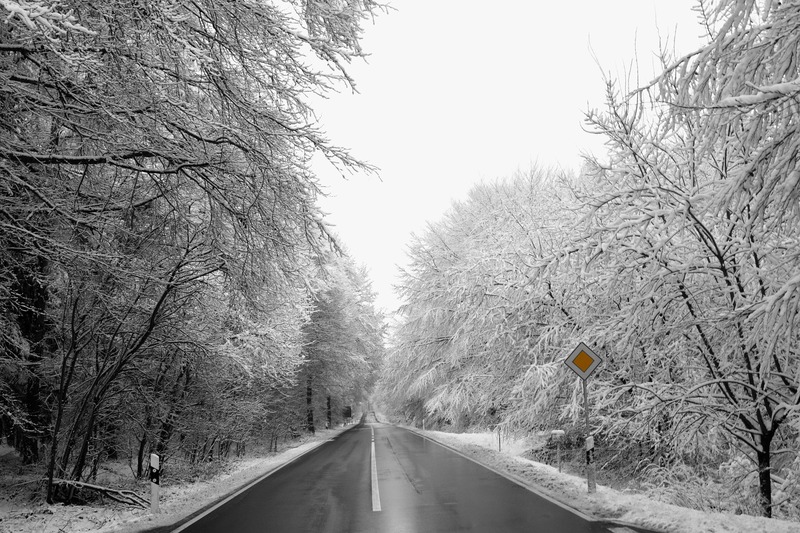 Are you uncertain if you can require employee attendance on inclement weather days? What about pay? Click to find out what our experts have to say. Address the forecasted weather conditions before they strike. While it’s important to keep your employees safe and sound in the event of dangerous conditions, you also need to look out for your business. In terms of serving your customers, calling off work for a few flurries probably isn’t a good idea. Before the storm strikes, send out an email, or call a meeting, to address the possible snow storm, using it as an opportunity tore-familiarize your team with your business’ Inclement Weather Policy, found in your employee handbook. Let them know when they can expect a decision, how it will be announced, expectations for the snow day and how pay will be handled. 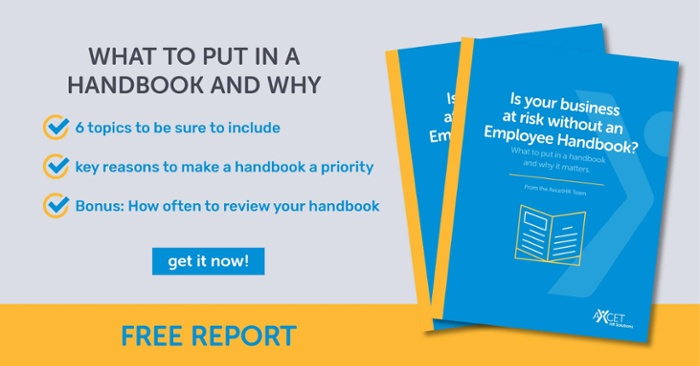 Read this blog to find out the top five things to include in your employee handbook. Inform your team of your intent to continue to monitor the weather forecast. Let your employees know what conditions will typically trigger a workplace closure. Maybe you follow area school district closures, watch for a specific amount of snowfall or temperatures below zero degrees Fahrenheit. This will help them feel in the know as the weather continues to develop, but before your committed notification deadline. Stick to the plan. If you committed to notifying your team by a certain time and day, and through various means, be sure to follow through. Common communication methods for closures are through email, text, phone calls, an inclement weather line and social media. Through a webinar for business owners and HR professionals, we gathered data on how inclement weather days are communicated. Check out this blog for 12 different ways area business owners effectively communicate with their team during bad weather. Update your phone message immediately. Be clear about the day and hours your business will be closed and when it is expected to reopen. Be sure to apologize for the inconvenience and let them know any additional information, such as rescheduling of appointments and classes, or extensions of “one day only” sales. This information should be included in all of your closure notifications. Send an email and/or text message to your subscribers. Be sure the email subject line clearly indicates your facility will be closed due to inclement weather and include details from above. Update your social media. Publish posts across all social media channels including Twitter, Facebook, Instagram, LinkedIn and Snapchat. If you operate a retail business and are open from 10 a.m. - 9 p.m., consider posting multiple times per day for the greatest chance to reach your followers. Update your website. Though not always as easy, and in some cases not possible if part of a franchise, you could update your hero image or hours of operation to reflect the closure due to extreme weather conditions. Post a large sign on your business’ door. Be sure it is large enough for people to read from their car as they drive by, indicating your business is closed due to inclement weather. Further Reading: Find out how to prepare your physical workplace for winter weather and action to take after the storm has passed in this blog written by Steve Donovan, Director of Risk Management for Axcet HR Solutions.